A domed ceiling stretches high above the sands, enough open air for a queen and her mate to be comfortable with their clutch. Thin slits of windows around the edges let in a little light, though more of the illumination comes from electric lamps diffused off the dome. The sands are ringed by the dark blue seats of the observation level, the first third exposed to the sweltering heat of the sands but those in the back glassed off for the comfort of those watching. The circle itself is filled with a mix of red and white sands, deep enough to cover the largest of dragon eggs with ease. To one side, a small door is visible, hidden away behind a platform meant to provide a place for the clutch parent's lifemates to stand during the on goings. « LOOK AT MY EGGS, MY EGGS ARE AMAZING. GIVE THEM A TASTE, THEY TASTE JUST LIKE — » "Don't actually do that. Garouth will probably eat you." THE SUMMONS HAVE COME, the clutchparents have once more okayed a view-and-touch of their precious, shelly-beebs and YOU AND YOU AND YOU AND YOU (or just you and you) were the LUCKY PC BABIES in a sea of NPC BABIES to get wrangled in by an AWLM. But Risali is there still, this time hanging back with Leirith and Garouth instead of giving instructions this time, sipping on cold drinks while one brave soul goes over the things you already know: no hair pulling, no tripping, no actually licking. Bow, and be gentle, and definitely run (don't actually run, it excites the dragons) if Garouth starts to growl. Because it's always Garouth. Because sometimes it's Leirith, but she makes it be Garouth. Logic. UNIMPORTANT. IMPORTANT IS THE AWLM STEPPING ASIDE with a firm, "Be gentle, and be careful," before unleashing candibeebs upon those egg-filled sands for some touchings. This time, Meion is one of the first to the sands. A night's sleep has mostly erased the signs of all that crying last night, though her eyes are still a little redder than normal. She pauses at the edge of the sands and gives a deep bow to Leirith, then Garouth, then stands and smiles up to them both, shining with some great inner happiness. She strides forward onto the sands, and walks to the grey-blue egg she spent so long weeping on last night. She kneels, bows her head respectfully to it and whispers something too low for anyone but the egg to hear - if the egg could even do that - then rises without touching it. She walks a slow circle around the sands, and settles, cross-legged, before the rose-petal-pink daubed egg, just sitting a moment in deliberate contemplation of its shell before she reaches out, resting her first two fingers on that band of gold that rings the middle of it. Raisins? Mathis was thinking maybe something like rainbows with all the colors, but maybe rainbows tasted like raisins too. He didn't know, but he certainly wasn't the first out there to get back to that whole touching thing, letting Meion breeze past him as he repeats much the same steps as he had the other day. Sock and bag, left in candidate barracks, casting a glance towards the stands even before the toe of his boot makes contact with sand. Whatever he sees up there rounds out his eyes till his jaw sets into a jut of determination and he seems to gain the confidence he'd been lacking till now. Nothing To See Here Egg was just over there, minding its own business, and then this kid comes up to it and puts something cooler against it's warm shell. Well, shall we begin? Mathis tries to control the way all of his body felt like it was preparing for battle, breathing in and out as evenly as possible. The other three fingers of Meion's hand join the first two, and then her other hand, lightly stroking the top of the egg as she settles into the mind's-embrace of its occupant, even as her breath gets faster. Her heart is pounding so hard that she would swear everyone on the sands can hear it; maybe everyone in the weyr. She flinches back, that first hand pulling away from the shell but the second still in its affectionate caress. She is remembering rides on her mother's shoulders as they hiked along rocky fields; she is remembering being lifted bodily by her father onto dragonback for the first time, all love and pride; she is remembering that night pressed against the techcraft apprentice with the pretty hair. The apprentice who never talked to her afterward. The father who disappeared for months and years at a time. The mother who patiently, calmly, never understood what Meion was trying to explain. The suffocating press of their expectations, and the echoing space of what they gave back. Meion's teeth clench; her face hardens to the same expression that the computer terminals see night after night, and few others ever know: determined concentration. Her mother asking if it was really so important she go all the way to the computercraft. All those pretty faces asking why she couldn't leave with them, couldn't settle down, couldn't make a home and a life and a baby or ten and - and - and. And a boundary. The golden band around the shell. The bright line around the self. And her hand, reaching across to press palm to - to eggshell. To another mind. To say there will be someone for you, and do not be afraid and you're crushing me - sad, wistful, remembering what it's like to disappoint someone and then doing. it. anyway. Because it's right. Because it's what she needs. Because she can never complete someone else; not when she's still completing herself, and she can't bear to fill that space inside her with something less than her whole self. But still, she doesn't go. Not yet, even as she holds her distance, that gold and pink-speckled shell like a wall of selfhood in her mind. Mathis twitches, not just a muscle or two, but all of him with a start. It's okay, it's fine, just breathe. He can totally do this! It was just an egg, it wasn't going to bite him or anything, and so he forces himself to relax. The things is, you can't really force your body to do much when it was as keyed up as his was, especially not when it wants to do the opposite of what you want. Not firsts in that department. To say that the boy looked apprehensive, would be an understatement, lips forming a thin line as he presses them together and resist curling his fingers in against the egg he'd chosen at random. Trepidation becomes skepticism, tawny lashes descending to partially hood hazel eyes, no longer giving any attention to anything going on around or above him as he stands there tensely, and slowly his mouth returns to its intended state. Distrustful, wary, he can't seem to find any sense of ease at the moment, but he lingers there rather than rejecting whatever it was that the egg was showing him. It faint, but it's there, a flicker of a smile before his brows launch upwards and he takes on the brief appearance of surprise before he clearly looks offended. "I am not!" he defends himself to an egg. Yes, an egg. When everything clears and he realizes what just happened, well, sheepish is the best description. A quick toss of his eyes around to make sure no one was gawking at him and he clears his throat, rolling his shoulders and goes for another round. Meion lets out a soft sigh, smiling sadly as the mask of concentration breaks and she sees though to the core, the loneliness, the need. She reaches into herself and brings something forth in offering, holding a memory in mind in hand in space in focus. The trip between on the back of a strange dragon with a strange rider, taking her from home to computerhall. That infinite moment of cold, so much longer than any of the trips with her father, so much longer than any trip before or after or any other moment in her life, remembering the disappointment of leaving. Her mother's face, resigned and proud. Her own tears; the desire to go back, to stay, to make someone else happy. And that core under everything, there in the cold and infinite nothing and the moment of forever of between. Meion, alone, in love with herself and the world and her place in it. She holds it, tangible, a red-pink rose of an idea that she presses through the boundary of shell, the space between minds. It scatters into petals, and she eases her fingers back from the touch, sitting quietly with herself, alone, there on the sands. Perhaps it's just that Elayne hasn't been doing much to draw attention to herself, right down to lingering rather awkwardly at the edge of the Sands, an eye kept on Leirith and a funny, bobbed little curtsey offered her as if to try and appease for not immediately approaching any of her eggs. Her hands are clasped behind her back, one clamped in the grip of the other to the extent that one hand might be numb by now and thus render any touching of an egg to be significantly less of one, yet, eventually, her feet shuffle into action, finally taking steps that seem to have a specific route in mind, until she stands beside the shell she's worked up the nerve to approach. When she reaches, it's with the numb hand, but she reaches nonetheless. Mathis finally appears to truly just let go, at least the tightness with which he held his body lessens enough to be visible. Still, there is some small measure of apprehension that remains, if only because of that first really unfortunate experience he'd had. Tricky eggs, so very tricky. The boy mutters something indiscernible, his discomfort readily apparent, nervously stroking the tips of his fingers over the shell of that egg to trace elaborate patterns he couldn't really see. There is a shake of his head, a long sigh, and then the aversion of his gaze. Whatever was going on he didn't seem to agree with, but that he wasn't reacting quite as strongly might suggest that this one wasn't at all like the first two, not that anyone was paying attention to which he had or hadn't touched yet. The only one keeping score, was Mathis. Watching him though was like seeing someone making up with an old friend, perhaps one with whom he'd had a spat, reunited and reconnecting as they reminisced about the good times long past. There's some nodding, understanding perhaps, drawing in breath to slowly let it out as true relaxation finally finds him. If the presence expanded out from the egg and brushing against his own wanted to scare the crap out of him, now would be the time because he was no longer ready for it. In fact, he cups his hands around it and takes a step closer. Meion rises slowly, blinking as she looks over the sands and notes Elayne's arrival while she was lost in that egg-communion. She glances up, gives a small nod to Leirith and Garouth - a small smile - and gives a slow shuffle across the hot sands until she notices the vividly asymmetric egg at her feet. She hadn't meant to be here, but perhaps something in her guided her nonetheless. She settles to her knees, and reaches forward, pressing a palm to the colored half of its shell. Elayne flexes her shoulder, easing her arm back in a motion that drags fingers now suffering from pins and needles across the shell, gently and carefully, for all that she cannot know how much pressure she applies in this moment. She shivers, giving it another handful of seconds before she draws her hand back, flexing her fingers and shaking it out in a motion that lets her subtly twist at the waist and angle a brief look behind her. Whatever she finds, it's not satisfactory, for it does nothing to settle her, the egg before her eyed with more than a measure of distrust. Curiosity or some need to conduct further research has her reach again, this time with her other hand, chilled and prickly fingers kept behind her back again. Meion stumbles sideways, jarred from her focus, managing to lose her balance and stumble from her knees onto her side in the sand. She rises slowly to her feet, and steadies her thoughts again. It's just like going between - except instead of nothing, it's everything, and alone-with-yourself becomes alone-with-the-alien, that inchoate raw selfhood that is all curiosity and fear and intent with no memory or experience to order them. She crouches to hold the shell with both hands now, a cupped hand on each side of that sharp division, following the egg's curve with the contour of her palm, feeling the warmth of shell and skin in contact. Mathis gets what's coming to him if the magnitude of his reaction has anything to say about it. Everything had been fine or at least seemed to be for a while, just a boy standing before an egg with his palms rested against it, eyes closed and murmuring sweet nothings. Until he wasn't. A prickle of alarm sends the hairs on the back of his neck upwards in a slow rise of impending danger, one that he was not prepared for anymore. Suddenly he jerks to attention and tries to pull away, finding that he can't. Something won't let him? Where on Pern was he? Desperately he scrambles to take control but he was frozen in place, eyes growing wide and mouth left agape, the rate with which he was breathing increasing exponentially and his terror becomes evident. A squeak of sorts escapes him, nothing more, strangled off by the sudden urge to go. To leave. To be somewhere else. Anywhere else. It only worsens as the seconds tick by and in defiance he yanks his hands free and stumbles away a few steps, jamming the heel of his palm against his face and shaking his head vehemently. He might have leveled a scathing look of betrayal back that way if it wasn't for his every cell telling him to get out of dodge, and so he does without glancing back. Upwards his gaze goes instead towards the stands and then away with speed, awkwardly wandering among the eggs until he spies Too Late for Goodbyes Egg. Ugh. Did he really want to try this, again? Yes, yes he does, something tells him. Experiences were the spice of life after all, and so he goes, fingertips grazing the surface timidly. Elayne hisses, or at least makes an approximation of such, her teeth bared and sentiment directed towards… What? Her cheeks flush, the sound registering with her only after she's made it and realises that, indeed, she is the one making that noise in response to whatever it is that's going on in her head, or in the shell, or… She shakes her head and clenches her jaw, refusing to look around and witness anyone's reaction to her making such a fool of herself, her attention kept firmly on the egg while the crimson of betrayal and embarrassment continues to stain her features. So determined is she to ignore it that she forgets to lift her hand away from the shell. A choked sound that might be the start of a scream issues from Meion's throat, and is abruptly cut off. Her fingers splay with tension, palms to eggshell as all her fingers curl back, away, recoil, and then she yanks back her hands. Her breath is fast again, and she glances around, egg to egg to candidate to candidate. Who has she disappointed? Where has she failed? Do they all know she doesn't belong here? She takes a step away from the egg, and another, before she realizes that she's retreating and pulls herself short. A shake of her head, and a deliberate return, and she kneels, silently mouthing something as she sets her hands together, the palm of one to the other's back, and brushes the pair lightly against the bounding line between that egg's distinct halves. Meion tenses, shoulders and back and legs all coiled in fight or flight as she challenges herself in the egg's mindscape. Her jaw clenches until it's sore, the fingers of one hand digging into the other as she holds to the shell. And then - it stops. The tension breaks. A pause, as her eyes open, hands hanging loose at her sides, and she takes stock of herself, the egg, the sands. She looks up, making momentary eye contact with Leirith, Risali, Garouth, D'lei. She stands tall, then clasps palms together and bows to the egg, giving a final affectionate brush along that bounding line as she rises again. She looks around at the other eggs, considering, and then proceeds toward the sands' edge instead. After last night's breakdown, she has things left undone, and she doubts she'll feel better than this if she continues. Elayne closes her eyes, stood absolutely still with one hand against shell, not seeming even to breathe in her act of defiance or moment of steeling herself. When she finally moves again, it's to lower her head, her hair falling forward enough to conceal much of her face from anyone nearby, so that, when she suddenly turns to look behind her again, she has at least a split-second of staring across the Sands and supposedly at nothing all to herself before any might get a decent look at her. It makes her appear no less paranoid, though it must be some comfort to her. Mathis wasn't going to let his guard down this time, barely having given himself a reprieve before he'd jumped down the rabbit hole again head first. What sort of lasting effect was all this going to have on a still developing mind? Surely someone at some point had researched the topic. Nothing like that occurs to the woodcrafter candidate, his own thoughts far too wrapped up usually in how to make his chores more fun and what they were having for lunch that day. As soon as he had real physical contact with the egg he'd chosen though, he wobbles minutely. Yeah, okay. Instantly a wince was to follow, giving him the distinct impression that this clutch of eggs might have it in for him. Trembling, Mathis curls slightly in on himself, knotted brows and drawn expression lending the appearance of someone fear stricken. He's probably not even aware that he's flattened his palm against the shell his fingers had brushed, eyes all but closed as if too frightened to risk opening or fully closing them. Why, WHY, WHY was this happening? "I don't even know anymore" is whispered aloud, too breathy to carry much further than where he stood, features soon twisted into a semblance of confusion. "I didn't…" This worsens over time, becoming all consuming as frustration filters in to give that show of emotion complexity. Again, he seems unsteady, using his other hand to keep an equilibrium that continues to escape him. "I…I don't know…" He wanted to tell the egg the same thing that he'd told Sylvarin, he was only thirteen, he didn't really have those answers yet and with that thought he finds that he can breathe again and so inhales deeply. Reeling, he leans slightly into the egg rather than leaves. He just needed to catch his breath. Elayne abruptly lifts her hand away from shell, drawing herself up taller in a poor effort to conceal both irritation and what lingers of her perceived humiliation, egg given a last lingering and conflicted look, but pride is pride and she moves away, putting space between them in-case she should relent and stay. It doesn't very much look like by design this time when she finds herself with a different egg before her, yet she's there and it's there, and she grazes its surface with the fingertips of both hands this time, much more tentative now. Elayne starts to smile. Starts to. It's just a tiny flicker before her lips twist in a grimace and tears touch her eyes, her hands snatched back and wrung together. She takes a clear and heavy step away, her line in the sand mostly proverbial and almost literal in the same instant, but whatever variety of line it is that she brings into being, it's one that's clearly going to stay. Hands don't reach again. She doesn't look back. 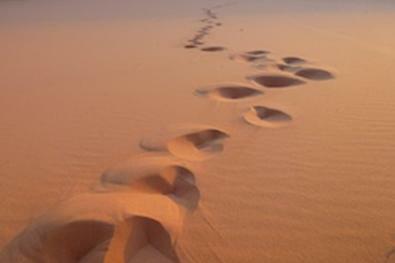 She only keeps her focus on her feet as she walks back to the edge of the Sands, her decision made. Enough now. Enough. Mathis should have moved on, he knows that, if not to try another egg than out the exit. He can feel himself shaking, something in the back of his mind screaming at him to run, dread coiling in his stomach. He didn't like this, not even a little bit. What possesses him to linger might only be that he couldn't convince any part of him to move, too scared of what might happen id he did. Not that what was happening presently was cause for such anxiety, but the stage had been set, y'know? That uneasiness grows in a rapid fashion, effectively seeing to the marked increase of his pulse and respiratory rate, and with it comes a wave of disorientation so profound that he all but uses that egg as a means to keep himself from toppling over and causing quite the scene. He has no idea what's going on beyond the narrowed focus pressed in upon him, sights and sounds no longer his own to control, looking more and more as if something was building towards occurrence of one thing or another. Would he scream? Would he pass out? Would he give that egg a delightful coating of stomach contents? A flinch and Mathis inhales sharply, looking around the sands owlishly. What? Oh, he was back on the sands. There's not flicker of attention given to the stands this time, an arm dropping back to his side as he turns to go. Where? He doesn't know yet, his other hand traipsing over that calcified surface just a moment longer than it should. Well, he asked for it. There's a shift in the mood of dragons - it starts with Leirith, subtle though it is; it's a quiet kind of done that's no less friendly, no less cheerful, but certainly leaps from the gold to the bronze beside her. It's Garouth's low rumbling growl that has Risali and D'lei moving, that has the Assistant Weyrlingmasters gathering up candidates in a rush and motioning Mathis and those other egg-touched few away, back off of the sands. "That's enough! The dragons say that's enough! Come on!" Once everybody is off of the sands Leirith and Garouth will settle back into silence, the gold's head tucking in on top of the bronze as she gazes at their eggs. Mathis instantly regrets he'd lingered even for a second, jaw clenched to tightly he can distantly understand that his teeth must be grinding against one another. He can't actually hear it, not above the noise inside his head that he would liken to fingernails against a chalkboard. With a wave of nausea once again rising to meet him, the boy comes to clench everything he can, finger joints making his egg rested hand look more like a claw as they tense. All he can do is breathe, or at least remind himself, repeating the demand over and over again as things most unpleasant are paraded against his mind's eye. He didn't want to think about it, talk about it, or be reminded of it. It was fine. Things were the way they were for a reason and until now he'd thought he had no doubts about it. Now he had them. Doubts. Was it really as fine as he'd always believed it was? Something he finds beyond the misty curtain of thought is reason enough to inspire a desperate gasp just to take several stiff steps backwards in quick succession, his disapproval and accusation plain to see. Mathis didn't need the restlessness of Dam and Sire or the ushering of weyrlingmasters to signal his final retreat, he was practically the first one off the sands and out the exit, saying nothing to anyone, as he disappears from sight.